There’s a very helpful video on YouTube regarding the sustainability of natural stone. Produced by the Marble Institute of America, there is a wealth of information about the uses of stone in “green building”. Pointing out the various uses and environmental impact of using natural stone in your home, the video covers many aspects of natural stone use. 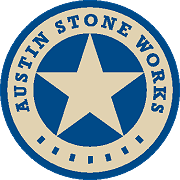 If you’re considering using granite, travertine, marble, limestone or other natural stone, you’ll find this video extremely helpful and informative.